Out of all MPs and MLAs in office, 58 have declared cases related to hate speech. This includes union minister for drinking water and sanitation Uma Bharti along with 14 other Lok Sabha MPs. The list also includes 8 state ministers. A party wise analysis reveals that BJP has the highest number of lawmakers having hate speech charges. 10 of its MPs and 17 MLAs have declared cases related to hate speech. The Association for Democratic Reforms (ADR) and National Election Watch (NEW) have analysed the election affidavits of all sitting MPs and MLAs. Other MPs are from: AIUDF, TRS, PMK, AIMIM and SHS. Other MLAs are from: 5 each from TRS and AIMIM, 3 from TDP, 2 each from INC, AITC, JD(U) and SHS, 1 each from DMK, BSP, SP and 2 are Independent MLAs. Maximum number of lawmakers charged with hate speech are from Uttar Pradesh followed by Telangana and Karnataka. Party leaders with declared cases of hate speech: Asaduddin Owaisi (AIMIM) and Badruddin Ajmal (AIUDF). The Law Commission [Report number 267] of March 2017, on Hate Speech states that “Hate Speech” has not been defined in any law in India. However, legal provisions in certain legislations prohibit select forms of speech as an exception to freedom of speech. The term “Hate Speech” has been used invariably to mean expression which is abusive, insulting, intimidating, harassing or which incites violence, hatred or discrimination against groups identified by characteristics such as one’s race, religion, place of birth, residence, region, language, caste or community, sexual orientation or personal convictions. The Model Code of Conduct given by the Election Commission of India for the guidance of political parties and candidates should be amended to the extent that effect is given to the sub section (3A) of section 123 of the RPA, 1951. The first part of the Code i.e. General Conduct should expressly provide a provision that prohibits any kind of speech that promotes, or attempts to promote, feelings of enmity or hatred between different classes of the citizens of India on grounds of religion, race, caste, community, or language, by a candidate or his agent or any other person with the consent of a candidate or his election agent for the furtherance of the prospects of the election of that candidate or for prejudicially affecting the election of any candidate. Hate speech poses complex challenges to freedom of speech and expression. Hence, new provisions in IPC are required to be incorporated to address this issue. Amendments to the IPC, 1860 and the Code of Criminal Procedure, 1973 by adding new provisions on ‘Prohibiting incitement to hatred’ provocation of violence in certain cases’ following section 505 IPC, and accordingly amending the First Schedule of CrPC. 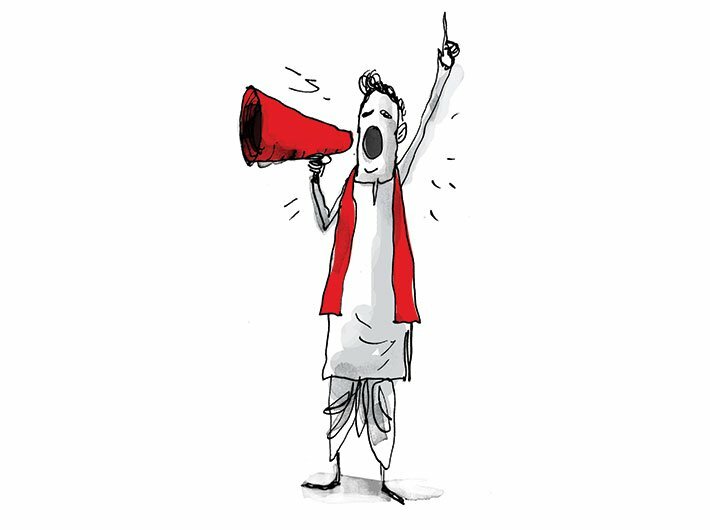 ADR believes that strict action must be taken against the candidates giving hate speech prior and during the elections, and against the elected legislators even after the elections, if found guilty of indulging in ‘Hate Speech’. Internet is an important tool for disseminating information and opinions however, it also serves as a platform for disseminating unlawful speech. Political parties have been misusing the medium for unlawful statements. Hence, it is recommended that such unlawful statements on online platforms should be monitored and if the person found guilty, they should be penalised. Political Parties must not give tickets to the candidates who have declared serious criminal cases against themselves. Cases against MPs and MLAs should be fast tracked and decided upon in a time bound manner.